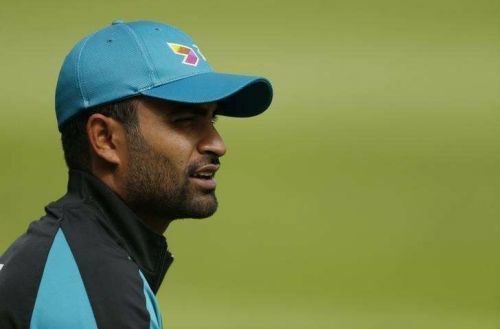 It was the worst possible start for Tamim Iqbal, who not only had to leave the first game of Asia Cup 2018 against Sri Lanka with a hand injury but has now been ruled out of the entire tournament after he fractured his left wrist. He is likely to be out of action for at least six weeks. However, despite his injury, he came out to bat after the fall of the ninth wicket and essentially batted with one arm. That made all the difference for Bangladesh as Mushfiqur Rahim's career-best ODI score helped Bangladesh post 261. It all happened in the final ball of the second over of the game. Suranga Lakmal delivered a short of a length ball at the body and Tamim went for the pull shot but he missed his shot and was hit on his left wrist. Immediately, the Bangladesh opener was writhing in pain and looked in a world of discomfort as the physio came running to his aid. It didn't look good for Bangladesh as the 29-year-old opener immediately left the field and was taken for a scan after being hit on the wrist while batting on two from three balls. The scans revealed a fracture that will keep the southpaw out of action for up to six weeks, which will mean that his Asia Cup 2018 campaign ended after just three balls. That compounded a terrible start for Bangladesh as they lost opener Liton Das and all-rounder Shakib Al Hasan in the first over bowled by a returning Lasith Malinga. He was spotted with a sling around his left arm and wasn't in the best of fitness even before the Asia Cup, having sustained an injury and not practising since August 28. Despite his heroics late in the innings, Bangladesh will have to replace him for the next game against Afghanistan.